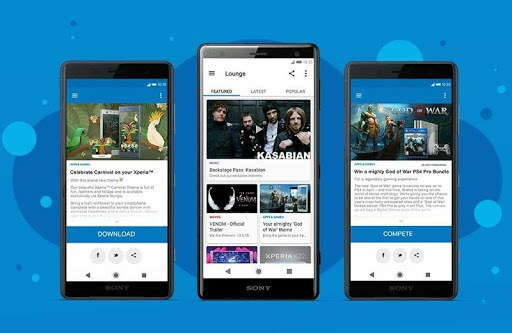 Welcome to Xperia Lounge, the entertainment app that’s packed with exclusives from the world of movies, music, sport and gaming. 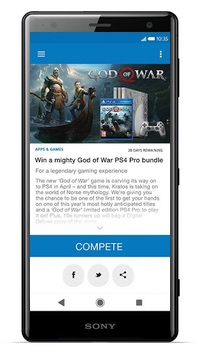 It’s the home of incredible giveaways, downloads, exciting Xperia™ themes, plus amazing offers and competitions with once in a lifetime prizes. • Limited edition music memorabilia and trips to meet artists at sold-out shows and after-parties. Xperia Lounge is the most exciting way to discover the world of Sony. 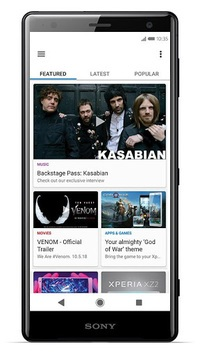 Download the app today. -We’ve improved our interface even more!